Yesterday, we featured a really creepy Halloween iOS app that takes you back in time with the added spook factor. In case that wasn’t enough for you – or if it was too ghastly – then here are other Halloween apps that you may enjoy. 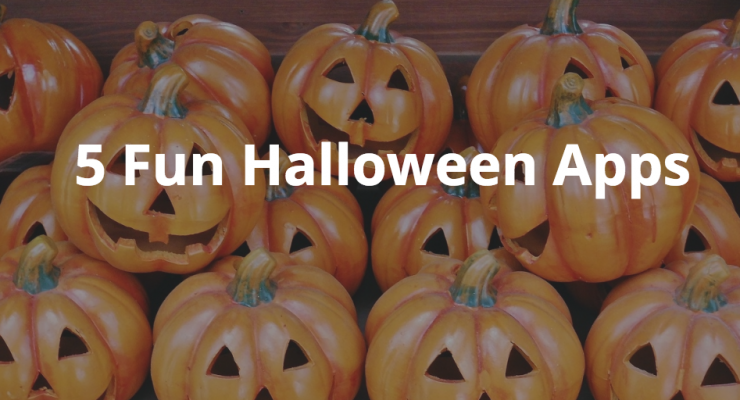 We’ve chosen a handful of fun Halloween apps to download. Most of them are free but some have in-app purchases. This app gives you 40 original fonts that are designed specially for the Halloween season. They can be used for practically anything – graphic design, web design, party signs and invitations, banners, promotional material, advertisements, and application development. I say it’s perfect for your Halloween party invites. BONUS: Includes a custom font preview app to see how the fonts look when applied to text, before you save and install them! And here’s another great detail: if you download the app now, you’ll get new fonts each time Halloween comes around. While you don’t get the practicality that Halloween fonts offers, Halloween! does make things more interesting. Does this question appeal to you: Do you want to know how many days until Halloween, play scary sounds to frighten your friends, pick the perfect costume, know Halloween trivia? Then download Halloween! to add fun to a scary season. Halloween countdown with high-quality sounds! If the Creepy Victorian Photo app is too much for you but you want Halloween photos of yourself and your friends, then you’ll find Halloween Booth 2015 much better. This app works much like photo booth apps, allowing you to customizey your photos with stickers, backgrounds, and more. Of course, you can also share your creative photos with the world. Add nice Halloween stickers to your photos: pumpkins, ghosts, night birds and skulls – make your photos scary, mysterious and funny! Edit your photos on a big iPad screen or anywhere with iPhone or iPod Touch device that is always with you. Share your funny photo by e-mail, Facebook, Twitter or send it via AirPrint to printer in just few taps. Of course we have to have an emoji app. The app has GIF emoticons and other emoji that aren’t Halloween-related, but it’s got a new bunch of funny spooky icons that will get your message across clearly. Want jack-o’-lanterns? You got it – in all shapes and designs. How about ghosts, zombies, and witches complete with a bubbling kettle? Check. Got you home all set up with Philips Hue? Then you’ve got to have this app. While Hue has been received very well as it is, why not go one step further and incorporate Halloween into your lovely home lighting setup? Use it at your front door to scare everybody while trick-or-treating. Use it during Halloween dinner to set the right eerie mood. Yeah. Give it to the kids…what could go wrong?